Granted, National Liberation Party doesn’t win all the elections, but its races for presidential nomination are always spirited. The run up to the 2014 elections keeps up the tradition, with San Jose Mayor Johnny Araya taking a commanding lead in the latest poll. Ex-President Jose Maria Figueres, according to the Unimer poll, is tied for second with Former Minister of the Presidency Rodrigo Arias — but Figueres tossed in a wild card by withdrawing from the race Wednesday. Figueres issued his statement Wednesday a day before the national newspaper La Nacion published results of the poll. He had repeatedly said he was not a candidate for months — but few believe a politician’s bashful protests. 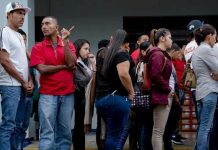 A July poll had shown three candidates bunched up in a statistical tie with another, Alvaro Alvarez (Desanti) close behind with 13% of the vote. But Alvarez withdrew his name from contention, throwing his support to Araya in exchange for a top spot on the list of lawmakers. (See previous article.) This meant that Araya, 23%, Arias, 22% and Figueres, 18%, were in a statistical dead heat. Now the figures, gathered Oct. 3-11, show Araya (32%) twice as strong as Arias and Figueres, tied at 16% each. But the Figueres announcement is sending pundits back to their calculators. In the last poll of this year or the first of next year, will Arias pick up any loose Figueres or Alvarez votes to close the gap? Stay tuned. 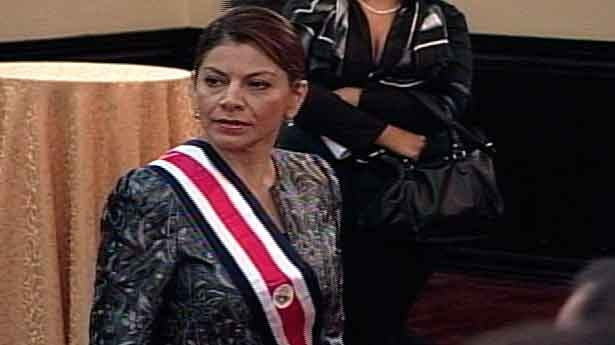 Arias showed his displeasure by attacking Araya for remaining in the mayor’s chair in the capital instead of resigning to campaign. “It’s neither ethical or moral,” Arias told Radio ADN 90.7 FM. But it is not illegal. In fact, it is not illegal for a presidential candidate to be on the list for a Legislative Assembly seat, essentially running for a spot either on the Administrative or Legislative branch. Araya, consulted by La Nacion about his “dramatic lead” among Liberationists. Arias also confessed to being surprised by the gap. Meanwhile, things have changed for the Citizen Action Party (PAC) and economist-founder Otton Solis. The July political poll has shown him in a statistical tie with former lawmaker Epsy Campbell of Limon. The October poll showed he had jumped 13 points to lead Ms. Campell from July to October among PAC adherents. It gave Solis a comfortable 53% while Campbell fell from 41% to 21%. Solis also, after three tries at the presidency and three defeats, maintains he wants to see someone else be the standard bearer–although, judging by the poll results, his own party does not credit his protests. 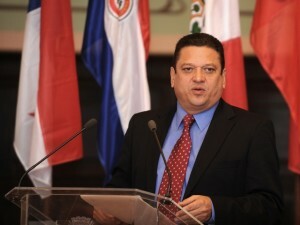 Solis, however, has found himself somewhat out of step with his own party hierarchy. He withdrew (but did not resign) from the PAC command committee after a series of disagreements. Moreover, Solis has angered some of his party’s faithful down through the years for being unbending–or just plain stubborn and set in his ways, depending on who is telling it..
As for Figueres, he definitely rejected running although he said, with the usual shy, retiring way of a politician, “I’d be the best candidate.” In this, he resembled his father, political and historic icon Jose (Don Pepe) Figueres who delighted rattling cages with outrageous statements.